Congratulations, you've finally come to the decision to replace your roof. The decision will improve your quality of life and augment the value of your home. The only question is how much will it cost you? The cost of roof replacement varies widely depending on a number of factors. Let's take a look at each one separately. Basically there are two main costs which can be subdivided into more categories – these are materials and labor. 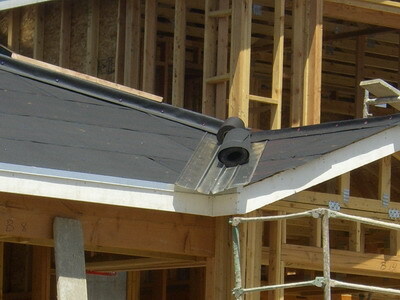 The main cost in any roof replacement is the materials. Cost of materials is determined by the size of the roof multiplied by the cost of the material used. Roof size is measured in terms of squares. Each square measures ten by ten feet. So before everything else you must get your roof size measured to determine how much your roof replacement will cost. An average roof will measure anywhere from 10-50 squares. Roof coverings vary widely in price. The most common and one of the cheapest materials is asphalt shingles. These are used in a whopping 75% of roofs. Asphalt shingles will cost anywhere from $50-$150 per square and for an entire roof will cost somewhere between $1,000-$4,000 per roof. Prices for other materials rise quickly. Wood shingles and metal will cost between $5,000 to $20,000. Concrete or ceramic tiles can cost between $10,000 - $20,0000 and the most expensive, Slate, between $20,000-$80,000. Again, all these prices are for covering an entire roof, not per square. The contractor can give you a quick estimate of the entire job if you know the size of the roof and the material you want to use. The second factor in determining the cost of roof replacement is labor. 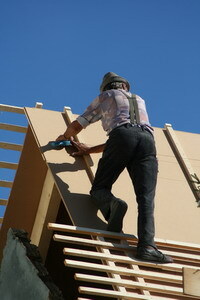 Labor is in large part determined by the physical parameters of the roof. Steeper roofs are harder to work on and more dangerous. Expect to pay more if you have a steep roof. The higher the roof, the more dangerous and the longer it take to haul up materials. This will also affect labor costs. The roof of attached homes is often harder to reach than detached ones. This may also increase costs. If part or all of an old roof must be removed before the new one can be installed this will increase the cost. Depending on how much experience they have and quality they offer prices differ. Check around and compare. Roofs are sometimes subject to certain legal requirements. If you live in a hurricane prone area you may be required to get hurricane-proofing? Some municipalities also require you to pay for a roof permit. 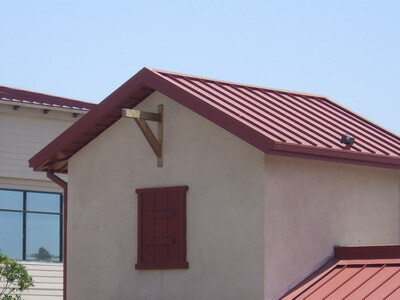 Tin roofing is a lasting and affordable roofing solution, yet requires regular maintenance to ensure its longevity. The following do it yourself tin roof guide will explain all the measures that can be taken to maintain tin roofing, and how to perform them.